I hope if you’ve been reading my blog for any amount of time, you’ve figured out how much I enjoy being a mom. Even when I wake up to screaming, it’s easy to get out of bed when I know I’ll see that goofy toothless grin as soon as the door opens. But ever since the NICU, I’ve had this niggling feeling that I might be a mom but I’m not really a parent because I missed out on a lot of those early rites of passage. I had nurses and doctors to let me sleep, and coach me on what his different signals meant, and show me exactly how to do the things that most new parents have to figure out on their own, at 2 am, on half an hour’s worth of sleep. This past week has been awful, seeing my poor baby so sick. I would have traded places with him in a heartbeat, but that’s the one thing a mom can’t do. His official diagnosis is bronchiolitis brought on by RSV, and according to what the doctors’ said about the timeline of this, we should be past the worst of it, finally. In getting through this last week, I’ve neglected my house, my job, my husband, and cancelled commitments I made to friends and family. I’ve stayed up late and woke up early just to listen to PJ breathe. I’ve held him down while he screamed bloody murder, and cleaned out his airways, and stood by and listened while the hospital staff did the same with a big loud machine that I’m sure scared him half to death. And when it was over I picked him up and kissed away his tears, and rocked him and nursed him until his little heart stopped racing. I don’t even want to think about how many surfaces in my house are sticky from the frozen fruits and juice I’ve been trying to coax him with to get a little more liquid into him. And the usual earworms I get from the radio have all been replaced with songs from Mickey Mouse Clubhouse. 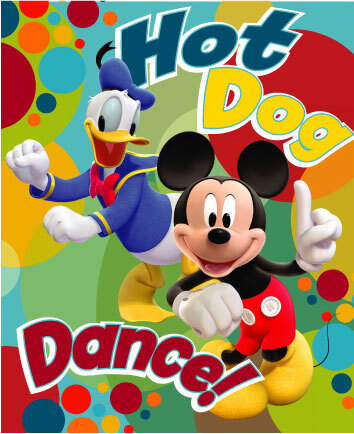 Hot dog, hot dog, hot diggety dog! And somewhere in all of this, on one of the many, many calls to doctors and pharmacies, it’s stopped feeling weird to say “I’m calling about my son.” I’ve always had this urge to giggle when I’ve had to say that, like, “Really? I have a son? Nah, I have a PJ.” But I guess I really do have a son, and I guess I really am not just his mommy, but his mother. It’s probably a coincidence, but doesn’t feel like it, that this week is when PJ first started stretching his arms out to let me know when he wants to be held. That was pretty heartbreaking when he was getting his treatments and I couldn’t pick him up, but the rest of the time it’s the best feeling to see him start reaching, and be rewarded with a huge smile and a big hug as soon as he’s in my arms. I wonder if he feels the difference too?